Apple business manager is a new platform. The business manager enables IT, teams, to manage deployed Apple devices, distribute content and assign management roles in organizations. This program is companies that favor Apple device and iCloud service. Apple has introduced the Business Manager for companies to enjoy the full benefit of Apple Mobile Device Management (MDM). The Manager combines the Device Enrollment Program (DEP) and the Volume Purchase Program (VPP) services under one program. The Manager combines the Device Enrollment Program (DEP) and the Volume Purchase Program (VPP) services under one program. The Business Manager allows you to perform the following. Install a non-removable MDM profile on a device. Provision devices in Supervised mode (iOS only). Devices in this mode can access additional security and configuration settings. Start enrollment for all end users. Prevent iCloud back up by preventing users from signing in with personal Apple ID. Force OS updates for all end users on the network. Like any other program, the Apple program has certain requirements. Make sure you have the following prerequisites in place. First on the list is an Apple Business account. Register for an Apple Business Manager account. Apple Inc offers an easy to access procedure once all the requirement is met with via the Apple Enrollment Procedure. Apple devices. The Apple Business Manager account can only manage associated Apple devices with the Mac OS, iOS, as well as tv OS. The Apple Business manager has strict policies for third or resold devices. You must have Internet connectivity. When integrating with the Apple Business Manager portal, ensure that the network is set up to communicate with mdmenrollment.apple.com on port 443, as for some on-premise clients. Below are some of the reasons you should use the Apple business Manager. It allows company administrators to reassign and grant permissions using Role Based Access Control (RBAC). In additionally, admins can appoint other administrators and grant jurisdiction. The Businesses manager allow admin to create new VPP tokens (including Locations) and also appoint other admins to manage app licenses through the ABM portal. Content such as books can also be pre-purchased and distributed. One important new feature is the ability to select a default DEP enrollment server based on the type of Apple device. Choices include Apple TV, iPad, iPhone, iPod, and Mac. 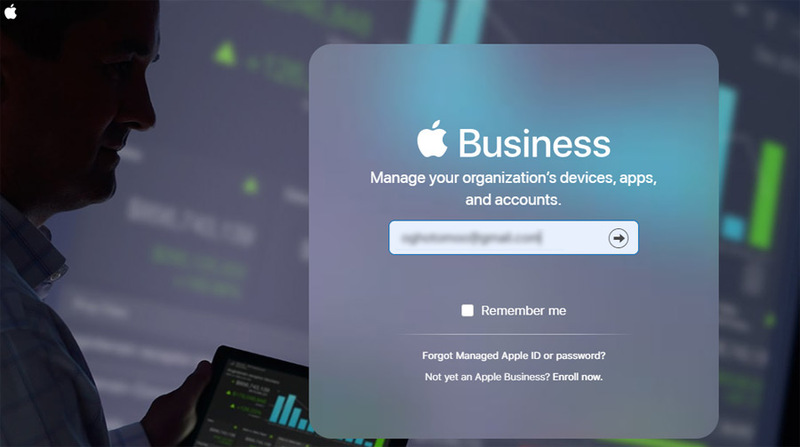 With Business Manager, the enterprise can now manage Apple IDs for employees that need administrative access to Apple Business Manager.